For decades, royal families, heads of state, and other dignitaries have chosen Mercedes-Benz’s limousine-like Pullman sedans to chauffeur them around in style. For the 50th anniversary of the best-known Pullman sedan, the 600, Mercedes-Maybach—the sub-brand recently relaunched by Mercedes-Benz’s parent company, Daimler AG, with the Mercedes-Maybach S600—debuted the brand-new 2016 Mercedes-Maybach Pullman at the Geneva International Motor Show this month. Derived from luxurious open-plan railway compartments, the original Pullmans offered an abundance of space to stretch out; the new model follows this lineage. More than 20 feet long and 5 feet tall, the 2016 Pullman offers two backseat passengers the most legroom in the class and more headroom than a Mercedes-Benz S-Class sedan. Two more passengers can sit in optional rear-facing seats that fold down. 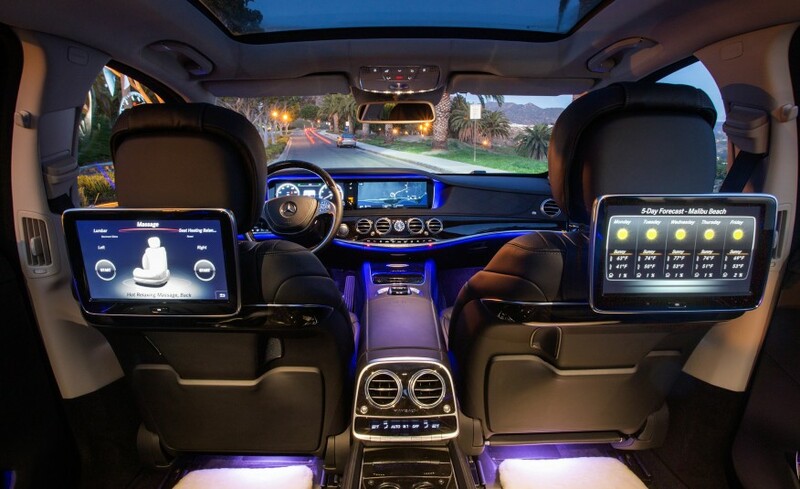 The interior is swathed in leather—everything from the roof liner to the doorframes to the seat consoles. The sedan also comes with a choice of two high-fidelity stereo systems from the renowned German audio-equipment manufacturer Burmester, a glass partition behind the driver’s area, and analog instruments in the roof liner that display the time, speed, and outside temperature. The U.S. availability of the 2016 Mercedes-Maybach Pullman has yet to be determined, though the company has announced that the new sedan will start at approximately $567,000. Armored versions of the vehicle will also be available, likely at a considerable premium.